The Holidays are upon us! And I know many of you are traveling to see family this season. 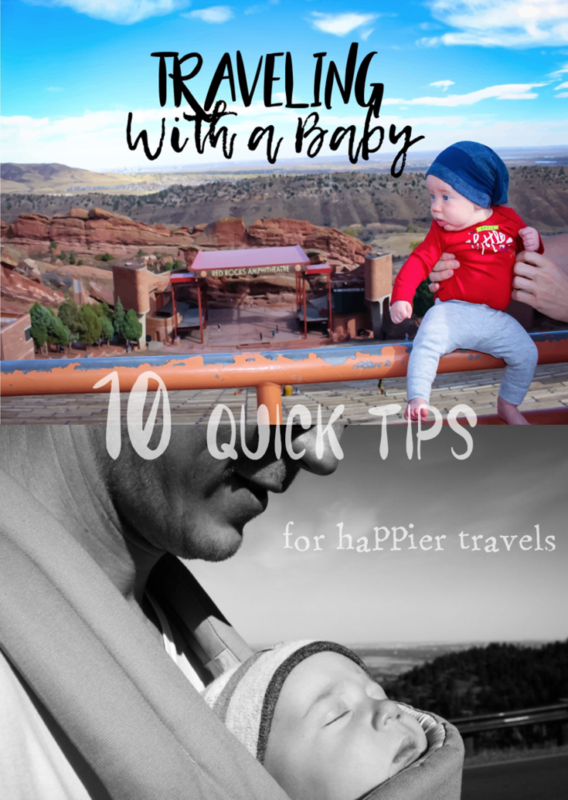 I want to give you some things that helped me have easier plane travel with a toddler. The Hubs, G, and I just recently took a trip to Rosemary Beach in Florida with two of our friends and their son. The weather was absolutely perfect. It was warm enough to swim but we weren’t sitting outside sweating. And because we didn’t go during the summer, the beach wasn’t overrun with people. We chose the window seat like so many people recommended and it was a great choice! 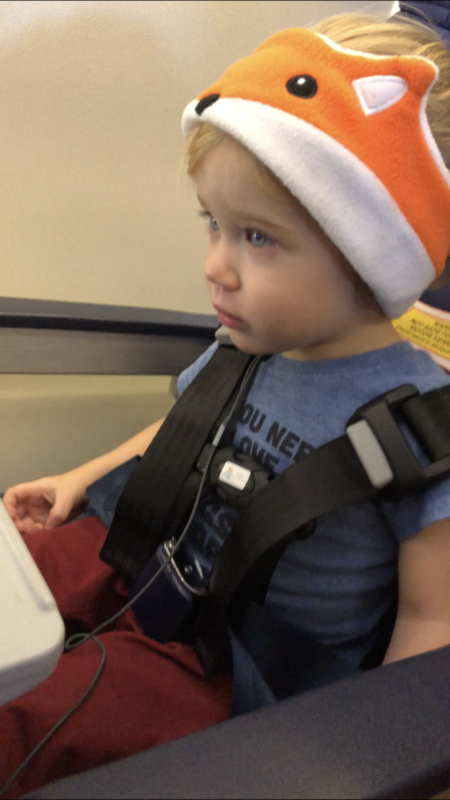 I had to fly to Florida by myself with my two-year-old. My husband flew in and met us later that evening. I’m that crazy person who always likes to carry on their luggage. I’ve had one too many friends get their luggage lost on a flight and not get it back for days. Plus, I don’t like waiting around at baggage claim. One time we had to wait for almost an hour and I was so over it. So I pack all my stuff and G’s stuff into one little carry-on. This is the carry-on bag I use. I am obsessed with how smoothly it rolls, and they’re having a crazy good sale right now. I lay out all the outfits we’d wear for each day to try and keep me from over packing. We got this car seat cover. And I just love that it had a backpack option so I could just throw it on my back as I was bobbing and weaving through the airport. I was definitely eyeing this cover with the wheels though it’s twice the price. PS: Airlines will check car seats for you for free! A bunch of Y’all sent me the tip to put in anything extra we may want in the car seat carrier if it doesn’t fit in our luggage and I totally did that with G’s Magnetic Picasso Tiles and G’s favorite toy animals. This Umbrella Stroller was great to push him around the airport. It was light and easy to use. I love my BOB Jogger but it was too bulky to take. When we got to the gate we checked the stroller and put it in this gate check bag to cover it. 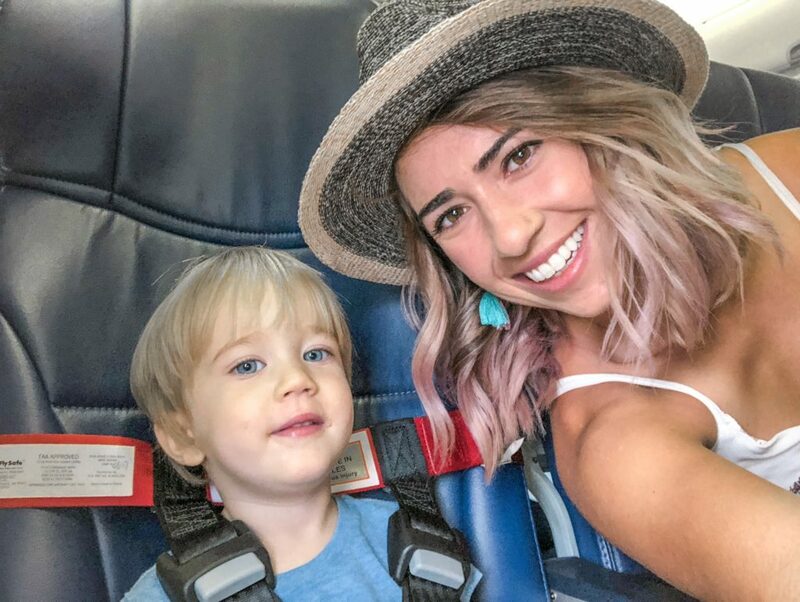 Strap him to the airplane seat. We rented a Cares Harness! And I loved it. They’re kind of expensive to buy (like $70) but you can rent them for only $20. They’ll mail them to you and you just send it back when you get home. It was so easy to use too. I love that this kept him locked in like a car seat would so he wasn’t climbing all over me or trying to sit in my lap, but without me having to lug in a huge car seat. All the fun things. Before the flight, I started making up a bag of new things that would keep him occupied on the plane. I got him a new Water Wow coloring page. I chose a safari one he’d never seen before because I knew that would keep him more entertained than an old one. 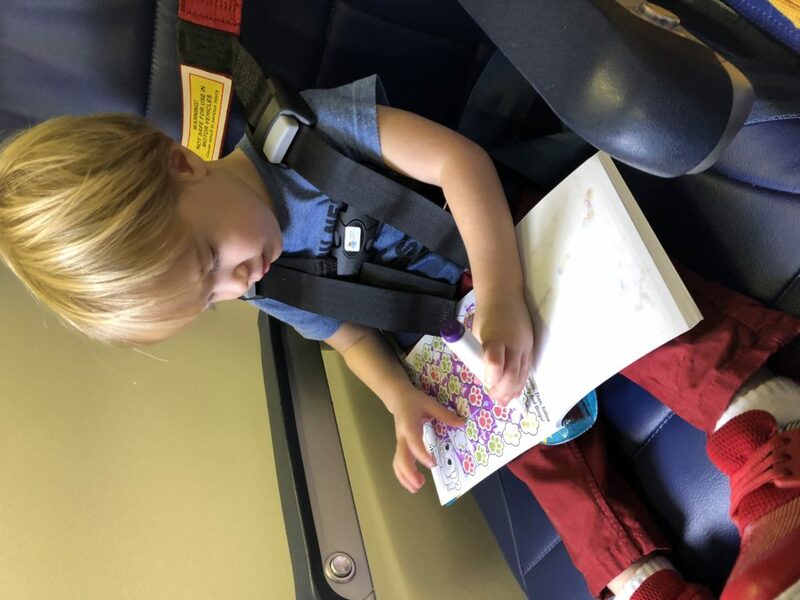 I got a couple new books and an “invisible marker coloring page.” We got some window stickers for him to play with on the pullout tray. And I brought some cars and road tape. All this kept him entertained for about half the flight. He did great sitting and playing and snacking. Eventually though (as I knew he would) he got fidgety. But I came prepared, with an old iPad. We very rarely let him use is so I knew he would be extra excited. I could have taken a nap myself with how quiet and angelic he was watching his first episode of Daniel Tiger. We used these cute little Animal Headband Headphones. I love that they’re not big and bulky and he seemed comfortable wearing them. Our friends used these headphones which their two-year-old didn’t love wearing, but I think they would be great for older kids and I like how they have two plug-in ports in case multiple kids wanted to watch the same thing. He really did great on the plane. I was so proud of him. 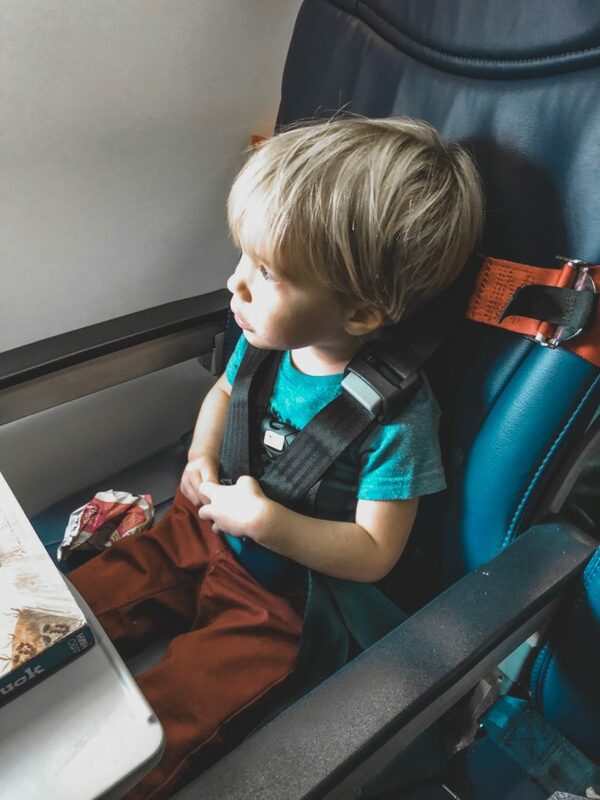 Even though he is potty trained, I did put a pull up on him for the travels “just in case.” I didn’t want to have to stress out if he said he needed to go potty and we were about to take off or something. 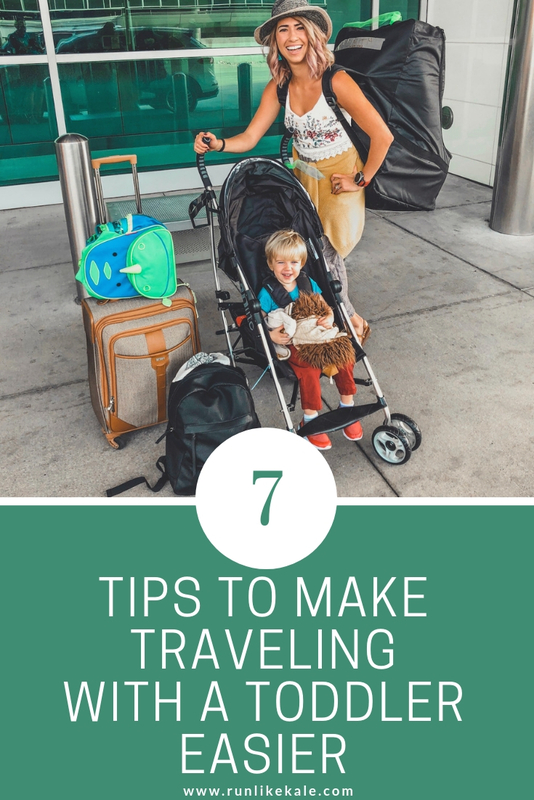 What are your toddler traveling tips? Check out our Instagram post to see what other people recommended! Don’t need it now? PIN this post for later.